Breeze Sharma spoke with no intent to impress. There was an air of – this is what I am; take it or leave it. He minced no words in his description of the emergent world of Mumbai running. In particular, how support and sponsorship grace mostly the media savvy. Breeze wasn’t wrong in his perception. A couple of weeks after we met him, Outside magazine ran an article on the same problem as felt in expeditions. It would be easy to say that what is going wrong in the matrix of money, media and marketing can be set right by further tweaks to technology or that the maze can be negotiated by hiring consultants adept at the task. The real issue is something else. It has to do with what drives the matrix, dominance by the matrix and the distortion it brings. It was a hot summer morning. Breeze sat in the café, like runner trapped, mind lost to what he must do. He had just finished a long run in the morning and after meeting us, would head out for another session in the blazing sun. In the middle of busy city with people ensconced in the air conditioned comfort of their cars and offices, a lone runner adding mileage on scorched road. Breeze is among Mumbai’s best known ultra-marathon runners. He was preparing for the Badwater Ultra Marathon, a foot race enduring extreme temperature variations and elevation change, often described in the world of running as the toughest event around. “ I don’t think I got accepted at Badwater because I am a runner. I am a mountaineer,’’ he said. Born January 1974 into a large family in Jaipur, Breeze Sharma considers mountaineering his first love. He did his mountaineering courses from the Jawahar Institute of Mountaineering in Batot, the Nehru Institute of Mountaineering (NIM) Uttarkasi, the Atal Bihari Vajpayee Institute of Mountaineering and Allied Sports, Manali and the High Altitude Warfare School (HAWS) in Gulmarg. 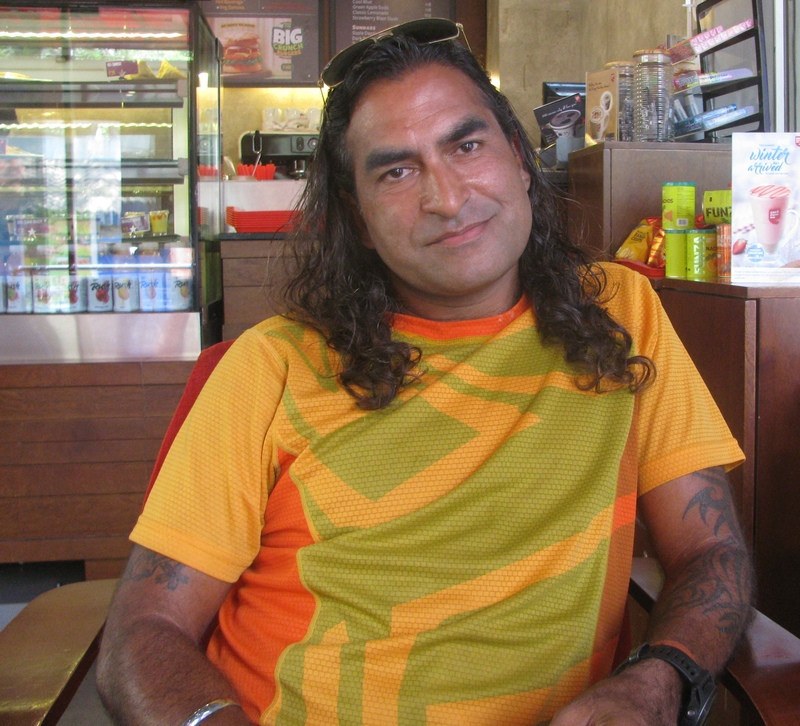 Long haired and tattooed, Breeze, works with the Indian Navy; on the civilian side. He has been associated with the navy’s Adventure Cell for several years. Climbing mountains, he has been on peaks like Nanda Kot, Bhanoti , Friendship, Shitidhar, Chamser Kangri, Lungser Kangri, Deo Tibba, Baljuri, Kang Yatse, Shinkun East, Shinkun West, Ramjak, Mentok Kangri, DKD-II and Independence 50. The altitude involved in these climbs, ranges from 17,000ft to 22,000ft. A bachelor, he stays in Mumbai, in a house close to the Sanjay Gandhi National Park (it is the biggest forest within a city anywhere in the world), getting occasional visits from the park’s slithery residents. Aside from mountaineering and running, Breeze also handles snakes. It was Mumbai runner Suresh Pillai who introduced Breeze to running. Suresh is a colleague in the navy. “ Breeze was very active in the Adventure Cell. I had accompanied him on some treks. I told him that he should get into running, that he will enjoy it,’’ Suresh said. Breeze’s first running event was the Vasai-Virar Marathon of 2012, incidentally the same year that he began running. Starting almost 25 minutes late, Breeze finished the full marathon in 5 hours, 38 minutes, last in the field. Nobody saw him finish. Suresh had to intervene and get him a finisher’s medal. “ I was interested only in the full marathon,’’ Breeze said when asked why he didn’t pick any of the smaller distances at his first running event. Discouraged by his showing, he left the finish line, thinking he didn’t have what it takes to be a good runner. However, the opposite unfolded. Following his Vasai-Virar experience, Breeze started to run regularly. He ran the 2013 Standard Chartered Mumbai Marathon (SCMM) under navy quota, completing the full marathon in 4 hours, 31minutes. His next full marathon was in Chandigarh. Then, in October 2013, he ran his first ultra-marathon, the 80km-Bhatti Lakes Ultra, running the distance in 11 hours, 22 minutes. He ended third in that race. In December 2013, he ran a 100km ultra in the Nilgiris, lapping up the distance in 15 hours, 29 minutes. “ With this race, I came to accept that ultra-running is my passion,’’ Breeze said. He set his eyes on a hundred miler (161km). That happened with an event in the Rann of Kutch in Gujarat, where he ran 161km in 34 hours, 56 minutes to place second. June 2014, found him running 80km in 10 hours, 46 minutes at the Shimla Ultra. Next he opted for a multi-day race spanning July 7-11 and covering 335 km, called Himalayan Crossing. Between the Shimla Ultra and this multi-day race, Breeze embarked on an expedition to Deo Tibba. At Chikka, he was bitten by a Russels Viper. Fortunately, the bite was on a finger, with that much distance, anatomically, between area of bite and vital organs. Only one fang made contact. Rushing him back to Manali, his guide alerted the District Magistrate and ensured that a helicopter was kept on standby. In another stroke of luck, enquiries revealed that the relevant antivenin was available at a hospital in Kullu. Breeze was brought unconscious to Kullu, where the antivenin was injected. He survived; he was discharged eight hours after regaining consciousness. It was a narrow escape. It left him with ten days to attempt the Himalayan Crossing. Its route straddled an average elevation of 12,000ft. As it turned out, he was the only one running. Starting from a village in Spiti, he ran the distance, crossing the Kunzum La and Rohtang La (both high passes) en route. He completed the run in 55 hours, 45 minutes. “ It was in this event that I discovered the endurance runner in me,’’ Breeze said. 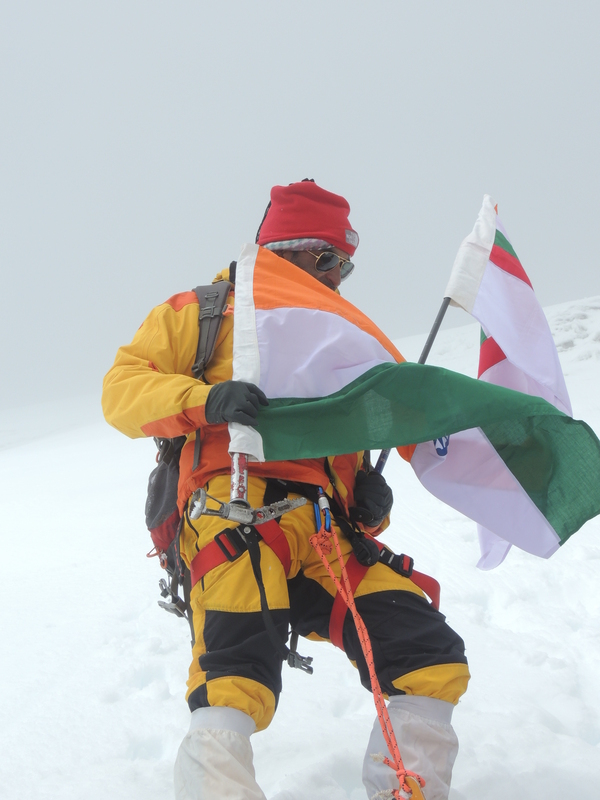 Suresh put it in perspective, “ Breeze has very good endurance because of his mountaineering activity.’’ The Himalayan Crossing – which earned him a place in the Limca Book of Records – happened in July 2014. On August 3rd, Breeze ran the 12 hour-stadium run in Bengaluru, covering 92.8km to place fifth. He also ran the Mumbai Ultra of August 15. 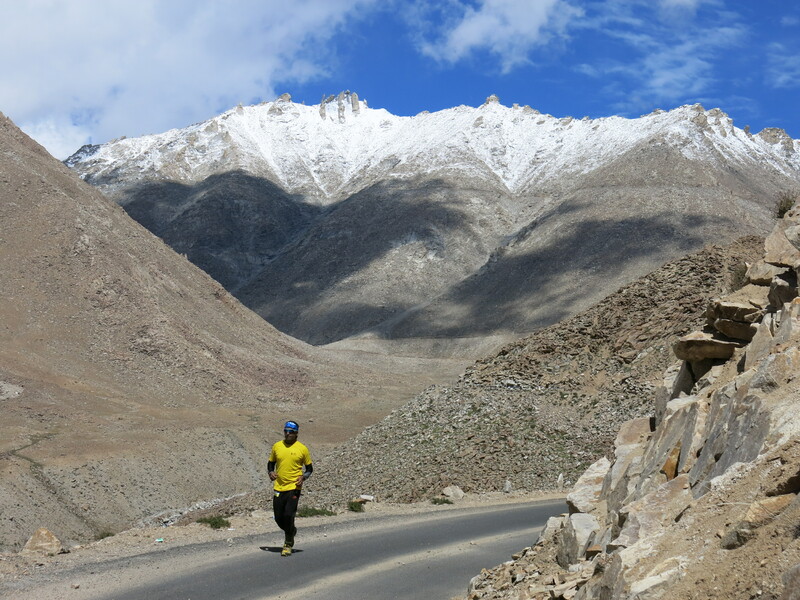 As if this wasn’t enough, Breeze reached Ladakh in September to run the Khardung La Challenge. In November 2014, still in running mode, he ran 162km to secure third place in the 24 hour-segment of the Bangalore Ultra. Then he ran for a second time, the 100km ultra in the Nilgiris, completing it in 14 hours, 29 minutes. “ I ran the maximum number of ultras I have done so far, in 2014,’’ Breeze said. 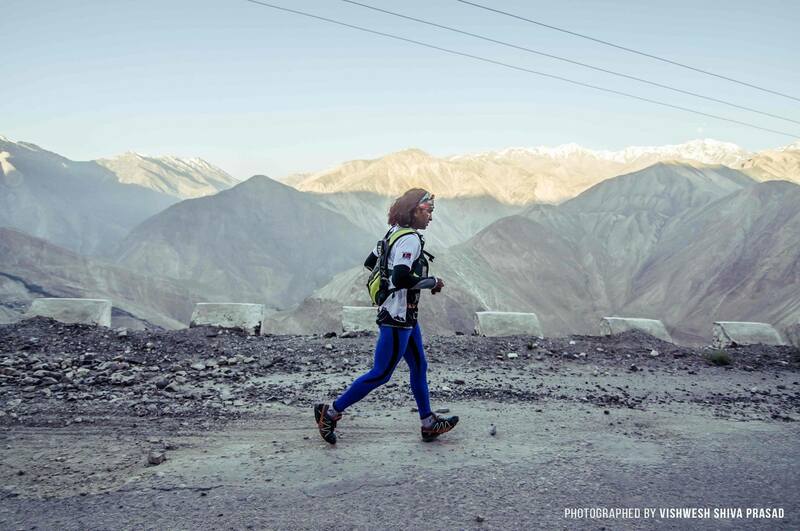 Inderpal Khalsa is a young, promising ultra-marathon runner. He has run a few ultra-marathons with Breeze. “ One thing I have observed is that he has very strong will power and his mind is determined and focused. I have seen him on extreme terrain, unwilling to stop, just looking down and continuing to run at a slow pace. He can run for hours and hours without a break because he focuses on strength training and spends a lot of time in the mountains,’’ Inderpal said. In early 2015, four days after SCMM, Breeze ran a 24 hour-treadmill challenge, covering 196.64km, earning him a place in the Limca Book of Records. 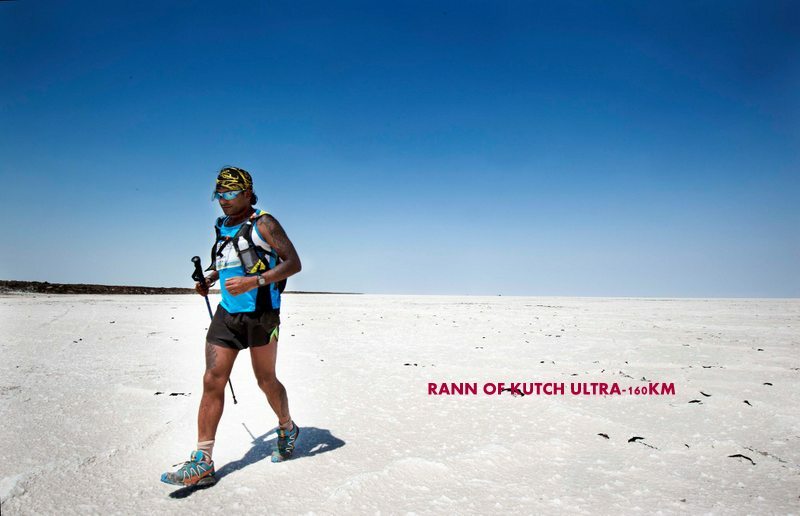 In February, he repeated the ultra in the Rann of Kutch, running 100 miles in 28 hours, 55 minutes. Breeze won this race. Then an unexpected twist occurred, one that dealt him a severe mental blow. At noon, April 25, 2015, a devastating earthquake struck Nepal shaking up the Everest region with considerable damage inflicted as far away as Kathmandu. Over 8000 people died, more than 20,000 were injured. The temblor triggered a major avalanche at Everest Base Camp. Among those buried under the snow was Breeze Sharma. For over a decade, the mountaineer and ultra-marathoner had been saving up money for an expedition to Everest. Everest is a costly affair. He sank his savings into the project and borrowed some more. His plan was to climb both Everest and Lhotse. All that effort and a chance to attempt the summit, ended up under the snow. Buried by avalanche, Breeze eventually broke through to the surface. In the hours that followed at camp, he had an injured woman die in his arms. In all, 21 people died due to the avalanche at Everest Base Camp. The experience rattled him. Atop the trauma of earthquake and avalanche, was the spectre of returning home to a huge debt. “ I was bankrupt,’’ Breeze said. Laid low by these developments, he quit running. It was one of those dead end scenarios when nothing appears to work positively for human being. One of those who kept in touch with Breeze during this phase was Vijaya Nadar. She lives in the US. “ Breeze struggled to fund his Everest expedition because a sponsor who had promised ten lakhs for the same had to decline and some other funds he was banking on wasn’t released on time. Some of his runner friends had promised to help raise funds; that too didn’t happen. It led to a panicky situation. He had no money to even buy insurance, before the trip. But he left for Everest all the same. After the earthquake and avalanche, he not only had to come to terms with his failure but also the mountain of loans – around 15 lakh rupees – which he had taken from his family and friends. He was broke and absolutely sure that he will not be able to recover. I would tell him to get back on his feet, though I myself wondered how. But all credit to the guy, he cleared his debts in six months and got back to running,’’ Vijaya said. The navy also helped. However some things precious, were lost. A keen biker, Breeze kept a small collection of motorcycles. He sold off his Harley Davidson, two Enfield Bullets and a KTM Duke to help repay the debt. In August 2015, Breeze ran the 24 hour-stadium run in Bengaluru, in an indifferent manner. He walked for 7-8 hours. “ I was not at all happy with my performance,’’ he said. Looking for a metaphorical summit to push himself onward in life, he found Badwater. The iconic ultra-marathon starts 279ft below sea level in the Badwater Basin of California’s Death Valley and ends at an elevation of 8360ft at Whitney Portal, the trailhead to Mt Whitney. The race can see day time temperatures soar above 50 degrees Celsius. The course is 217km (135 miles) long. Not every ultra-marathoner finishes Badwater. Among eligibility criteria for Badwater is that an applicant must have done three 100 milers. Breeze already had two 100 milers to his credit, both done in the Rann of Kutch. He needed one more. That manifested in December 2015. 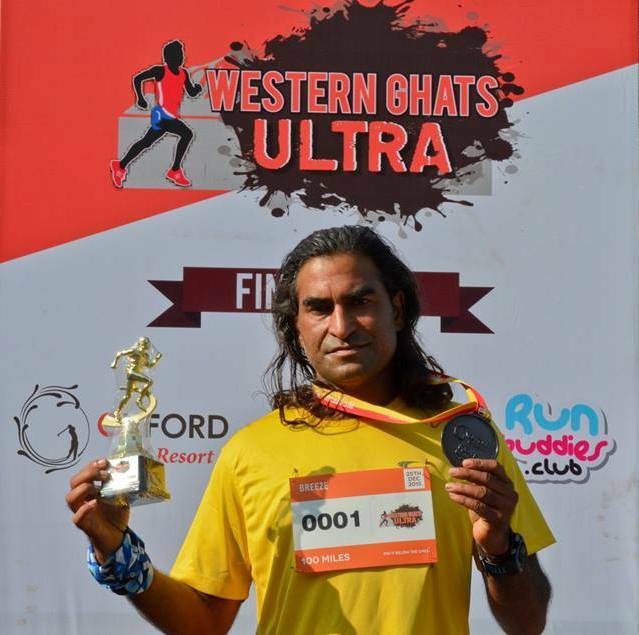 He ran a 100 miler in Pune called the Western Ghats Ultra. “ There were six participants. I would call this the toughest race in India. The last 85km is steep,’’ Breeze said. He ended up first, finishing the race in 27 hours, 20 minutes. He could now apply for Badwater. The race is scheduled for July 18, 2016. So far from India, only Arun Bhardwaj has completed the race. Breeze’s Badwater attempt is happening just 26 months after he got into ultra-running. That’s why he calls himself a mountaineer first, for it was in the mountains that he acquired the mind needed to take on challenges and physical hardships. “ Ultra-running is a game of the mind. I am by nature a solo runner,’’ he said, an observation mountaineers will quickly identify with. “ Breeze enjoys running solo. He occasionally runs with company but mostly likes running alone,’’ Suresh said. When we met Breeze for a chat, he was very much into the training phase for Badwater. He had run 30km that morning and was set to do another 30km in the evening. Overall, his preparations for Badwater entailed covering 5000km in four months in various conditions. The month preceding our meet-up, he had been logging on the average over 40km per day. That doesn’t mean he runs every day; it is an average. “ I don’t run every day. But I do heavy workouts in the gym. I run whenever I am in the mood to do so,’’ he said. You need a support crew when running the Badwater ultra-marathon. “ For crew, besides me it will be Craig Foster, who has run several 100 miles in the US, and has crewed at Badwater four times. It will be his fifth with Breeze. Then there is Avasa Singh, who is a very enthusiastic runner herself and preparing for her first 100 miles,’’ Vijaya said. There will be a mini van trailing the runner stocked with food, hydration needs, medicines, foot care essentials, extra shoes and importantly – ice boxes to cool the runner should the temperature be extreme. Some of the crew members will also occasionally pace the runner to keep him motivated. Between the preparations now underway for Badwater and the earlier Western Ghats Ultra, which set him up to apply for the race in California’s Death Valley, Breeze returned to the Rann of Kutch in February 2016, to run an ultra-marathon there for a third time (this one was different from the first two, it was called ` Run the Rann’). He finished first. One suspects the Breeze Sharma-story is never complete without a mountain in the head to climb. Apart from the running, the Badwater chapter has its other challenges – mainly cost. Fresh from his struggles to repay debts over Everest, Breeze was trying to raise the six to seven lakh rupees he needed for Badwater. It isn’t an easy task. It can be frustrating when the world’s capacity to support is partial to those playing by its PR rules. Breeze is not naturally wired for it. “ He needs to get more support but because he is not in the front line and not engaging in publicity with his running, he loses out,’’ Suresh said. Conversation over, Breeze left the same way he spoke. We shook hands and he walked off without looking back. This entry was posted in Human Interest, Outdoors / Travel, People, Sports. Bookmark the permalink.